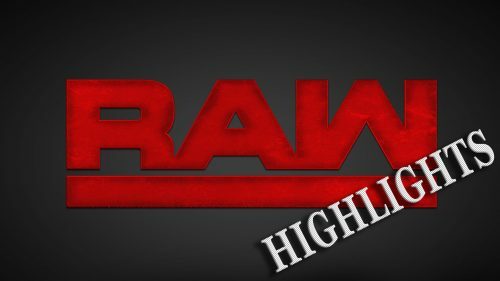 Check out the best highlights from last night’s Monday Night RAW! Raw begins in chaotic fashion as The Architect trades punches with “The All Mighty” Bobby Lashley. The Cenation Leader starts off 2019’s first episode of Raw with a WWE Royal Rumble 2019 announcement, but Drew McIntyre takes exception to the legendary Superstar’s return. An impromptu Six-Man Tag Team Match ignites the first Raw of 2019. With a horde of Superstars surrounding the ring, The Revival challenge Bobby Roode & Chad Gable for the coveted Raw Tag Team Titles. The Living Truth throws his guitar pick into the ring as an entrant in the 30-Man Royal Rumble Match. The Living Truth aims to settle the score with his bitter nemesis, The Lone Wolf. The Monster Among Men hits the scene for a thunderous confrontation with The Beast Incarnate ahead of their anticipated Universal Championship Match at the 2019 Royal Rumble event. The intensely athletic Apollo Crews joins forces with The Shenom to battle WWE Mixed Match Challenge finalists Jinder Mahal & Alicia Fox. The premiere of Alexa Bliss’ talk show turns calamitous when Nia Jax and Sasha Banks confront Raw Women’s Champion Ronda Rousey. After defeating Nia Jax for the right to challenge Ronda Rousey for the Raw Women’s Championship at WWE Royal Rumble, The Boss says she doesn’t need to prepare for The Baddest Woman on the Planet. The Boss takes on The Irresistible Force with a Raw Women’s Championship opportunity on the line. While celebrating his Raw victory alongside Ember Moon, Apollo Crews reveals he will compete in the 30-Man Royal Rumble Match. After a hellacious Intercontinental Championship Last Man Standing Match and a mauling by “The All Mighty” Bobby Lashley, The battered Kingslayer leaves the Raw arena. The self-proclaimed “Moral Compass of WWE” defends Raw’s workhorse title against his former Shield brother, The Kingslayer. Scott Dawson & Dash Wilder vent following the controversial conclusion of their Raw Tag Team Championship Lumberjack Match against Bobby Roode & Chad Gable.